This is my second visit to Nebuta Museum WA-RASSE. 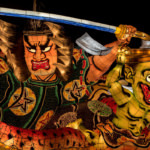 It is a facility that introduces the history and charms of the Aomori Nebuta Festival. 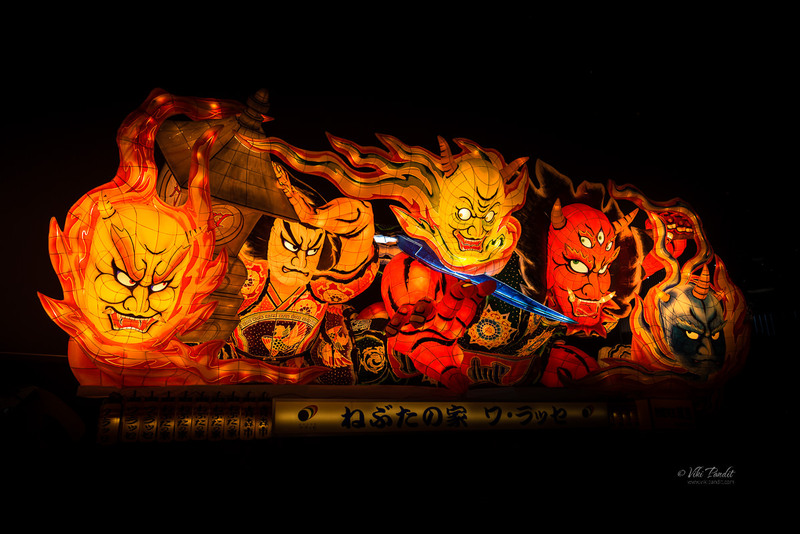 Every year the best floats from the Nebuta Festival – which runs between 2-7 of August, are exhibited at the facility for the next 12 months. So, in a way no two visits to the Nebuta House will ever be the same. 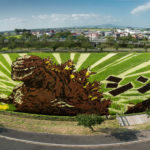 I have written an in-depth article on the nuances of the Nebuta festival and how the museum facilitates the unique tradition in the Aomori prefecture. You can more about it here. 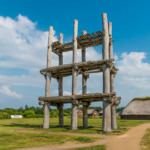 For this article I will be focusing more on the beautiful architecture of the unique building. 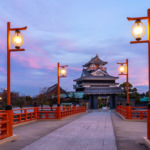 Nebuta House (Nebuta-no-ie Warasse) is a museum and center for creative culture in the Northern Japanese city of Aomori inspired by the craftsmanship and spirit of the Nebuta Matsuri. 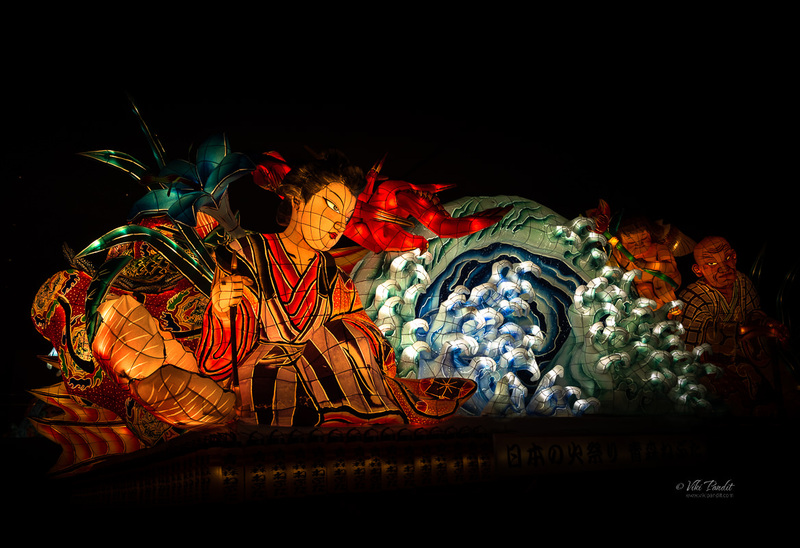 The festival, one of Japan’s largest, is a form of storytelling during which heroes, demons and animals from history and myth come to life as large-scale paper lanterns illuminated from within. 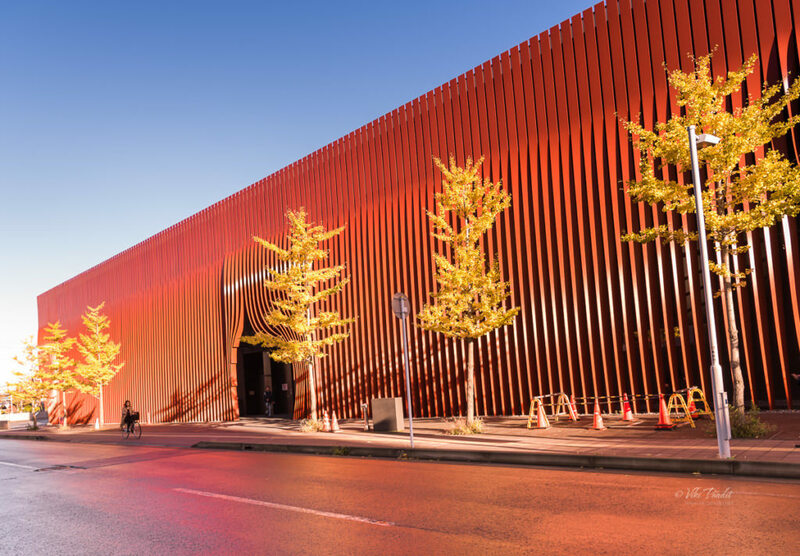 The first ideas of a cultural facility was initiated by Stephanie Forsythe and Todd MacAllen, who had previously worked closely with the city of Aomori to address the it’s evolving needs. 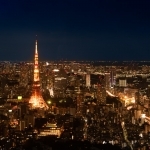 In 2002, they had helped build the Aomori Lantern Houses and Community Center. 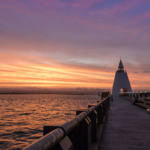 The aim of that project was to create a lively, culture oriented space with the intent of revitalizing the city scape. 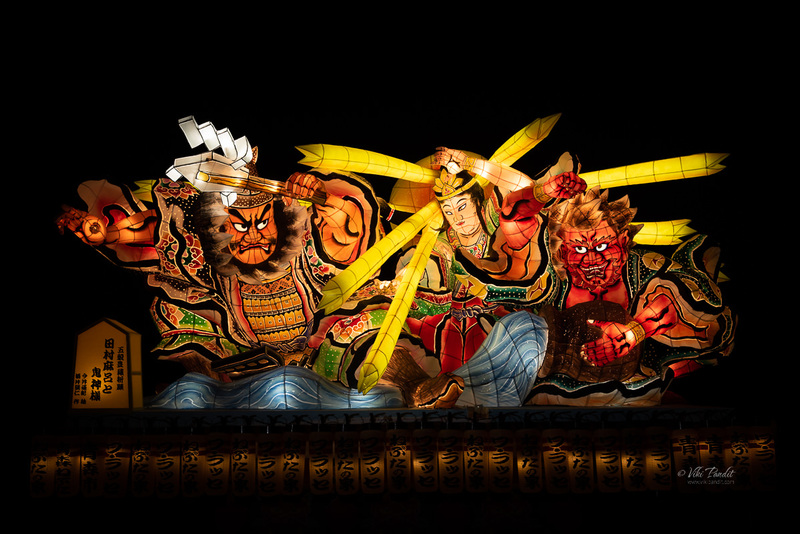 The partners identified the cultural importance of the Nebuta festival as one of the biggest draws of the prefecture. 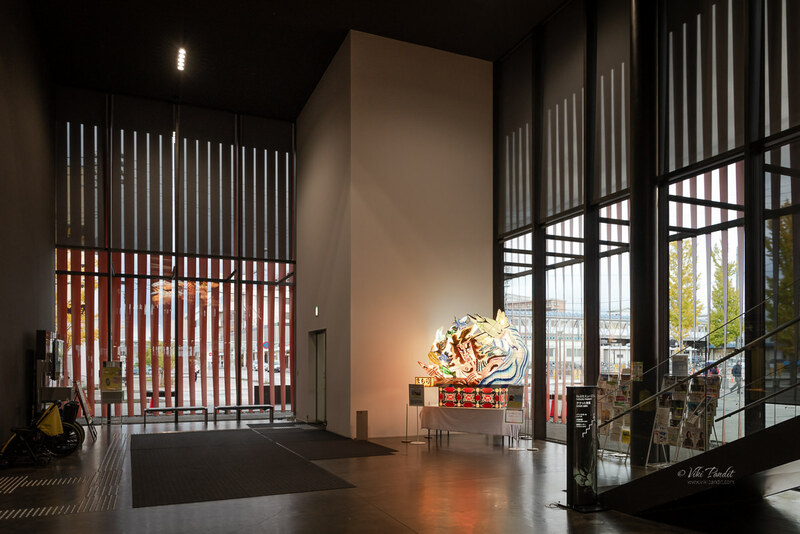 After selecting a new site for the awarded project – located adjacent to the JR Aomori train station, they proposed a building dedicated to preserving and enriching the festival’s heritage. Their proposal was received with initial hesitation. The celebration itself was such a large, living part of the city that a museum didn’t seem essential. But after continued insistence from Forsythe and MacAllen, the local government realised that despite the festivals scale, there were hardly any lasting artifacts or methods of educating tourists about the festival. 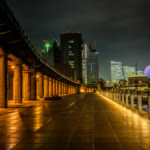 In 2011, with assistance of the Kajima – Fujimoto – Kurahashi Construction JV, construction was completed on the unique, sculptural building – resting along the waterfront of Aomori City. On first appearance the museum exterior looks like giant steel ribbons, parted like curtains to welcome visitors. 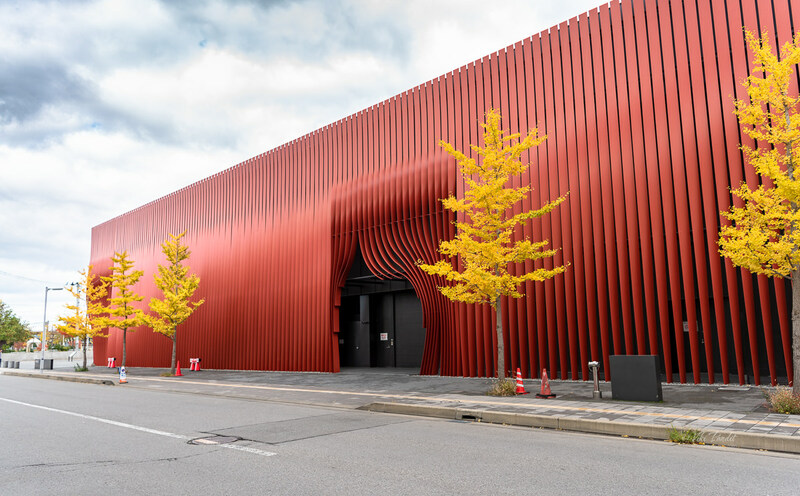 These ribbons of steel enamel-coated in deep red, envelop the structure, creating a shifting pattern of light and shadow that separates exterior, everyday life from the otherworldly realm within. The design is said to have been inspired by the paper lanterns. The architects copied the movements of strips of paper caught in the breeze to generate the twists of each ribbon on the museum’s exterior. For each steel ribbon, the bottom was set to a unique and specific angle, with thought to how sunlight would permeate the ribbons as it moved throughout the day, while the top part of each ribbon remained parallel to the building. These twists create openings that let in light and lead into a sheltered passageway between the ribbons and the glazed inner facade. In all, the building is encased in 820 steel ribbons, 12 m tall, encircling the glass-and-steel structure inside. The exposed round steel columns are as slender as possible, giving the structure a feeling of physical lightness. The floor to ceiling window mullions are black, galvanized solid steel and fastened to the steel structure of slender columns to contribute structural support to the steel ribbon screen of the façade. Enough with the boring stuff! Lets now enter the museum. Aomori Nebuta House is a museum that houses and honours heroes and demons that are handcrafted into luminous floats for the Nebuta festival. 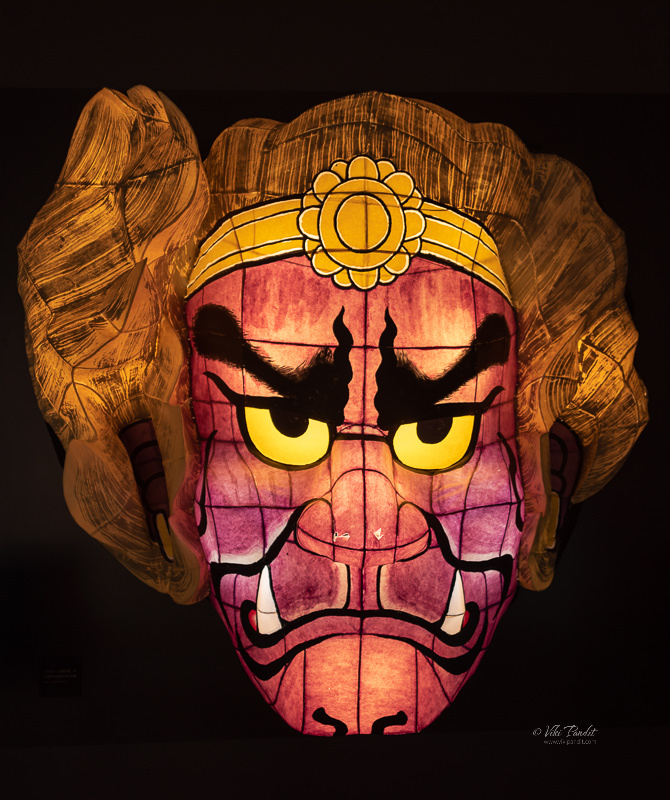 Each year the five best Nebuta are selected for their creative artistry and craftsmanship and displayed at the Nebuta Wa-Rasse museum. The interior is black, like a black box theatre. The abstraction of materiality, detail and colouring of the building allow visitors an intimate focus on the exhibits. The ground floor of the complex features a restaurant and a well stocked museum shop selling all sorts of local souvenirs and food. To witness the nebuta floats, take the stairs to the next floor. The tour starts with the Nebuta Tunnel. Along the red corridor lined with photos and images from the Nebuta Matsuri’s 300 year history, you can learn how the techniques and styles used in creating the floats has changed over the years. Just beyond the Nebuta Tunnel, lanterns in the shape of red goldfish, another symbol of the festival, hang along the corridor where the recorded sounds of taiko drums, flutes, and voices play. These luminous Nebuta appear suspended in the darkness of the corridor, their vibrant colours reflected in the rippled, water-like floor. This is a subtle analogy to the last day of the festival when most of the Nebuta are set out to float on the sea. One the walls along this corridor. the museum exhibits dioramas, drawings, photographs and artifacts that grant a deeper understanding of the unique culture and its evolution over time. 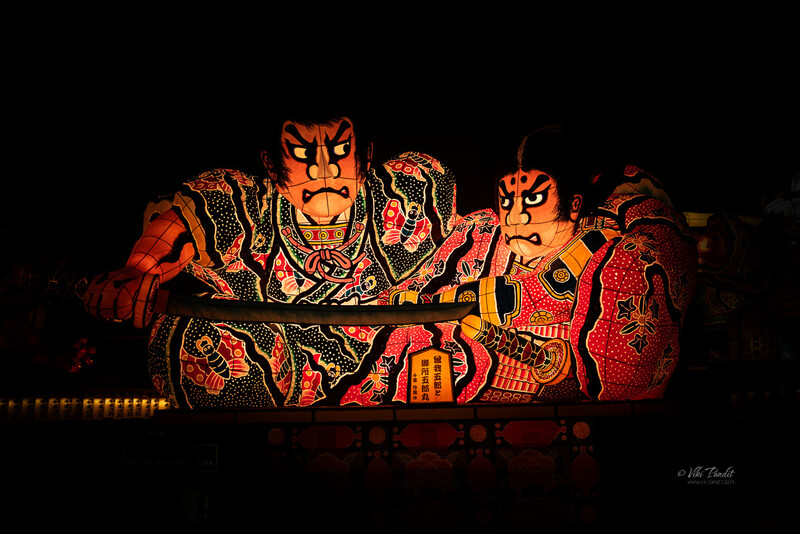 The Nebuta are creatures of light, and their home was designed as a realm of darkness. 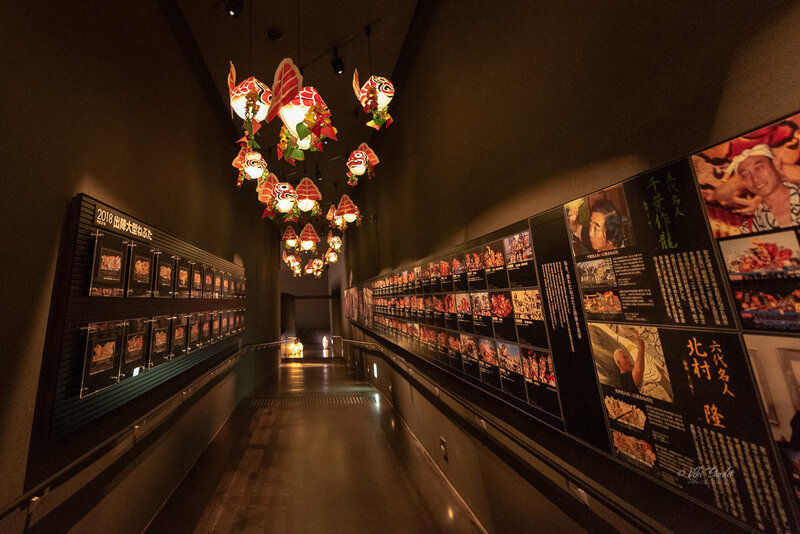 As you wind your way beyond the galleries and educational displays, you will find yourself in a dimly lit hall where you will be confronted by the Nebuta themselves. There are no barriers, you can go as close as you want up to the paper structures with their expressive facial features and delicate detailing. In the darkened main hall of the museum these were five floats from this years festival. I walked around the floats, taking pictures and admiring the craftsmanship that went into their construction. The floats reminds me of the “Durga Festival” we have back in my home town of Kolkata. Every year the deity is created using mud in numerous life-sized styles only to be submerged in to the Ganges after the festival ends. This Nebuta is based on Water Margin. The story set in the Song dynasty, tells of how a group of 108 outlaws gather at Mount Liang (or Liangshan Marsh) to form a sizable army before they are eventually granted amnesty by the government and sent on campaigns to resist foreign invaders and suppress rebel forces. The scene depicts Koshonsho invoking and controlling a dragon in order to protect the marsh from corrupt government. A platform lies in one corner of the Hall, used for occasional performances by “Haneto” dancers. I have not been lucky enough be around during one of their dances. I would love to see them demonstrate the unique Nebuta Matsuri dance with taiko drums and flutes. If you want to check out the nebuta floats from 2016, click here. 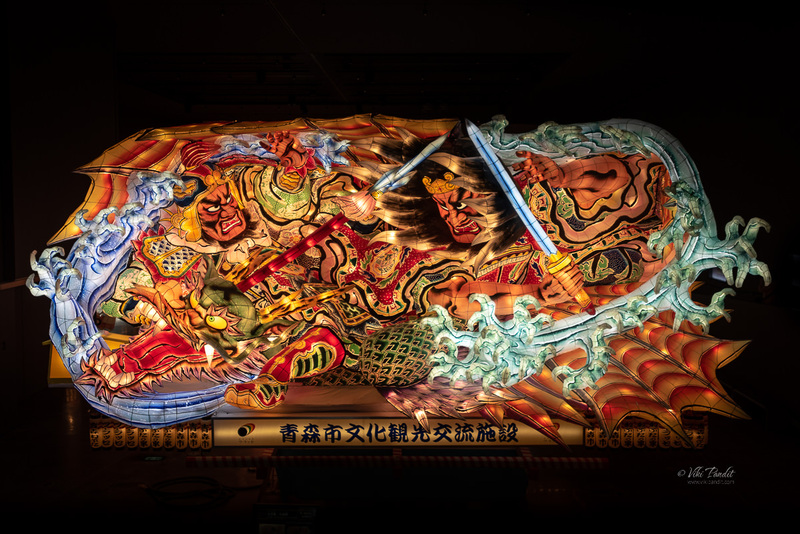 Nebuta is a living part of Aomori, and it continues to grow as an art form as individual artists bring their own style and innovations to the tradition. 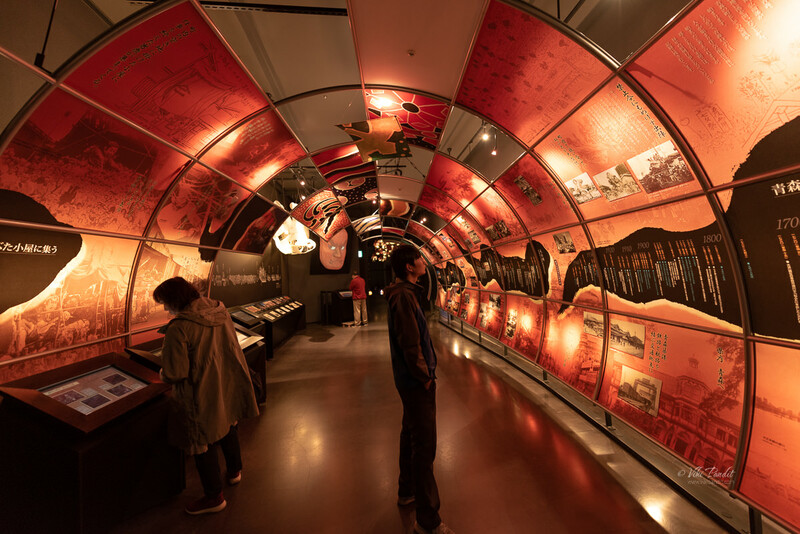 The Nebuta Warasse museum attempts to capture this spirit of the festival and gives visitors a teaser of its lively atmosphere, history and traditions. 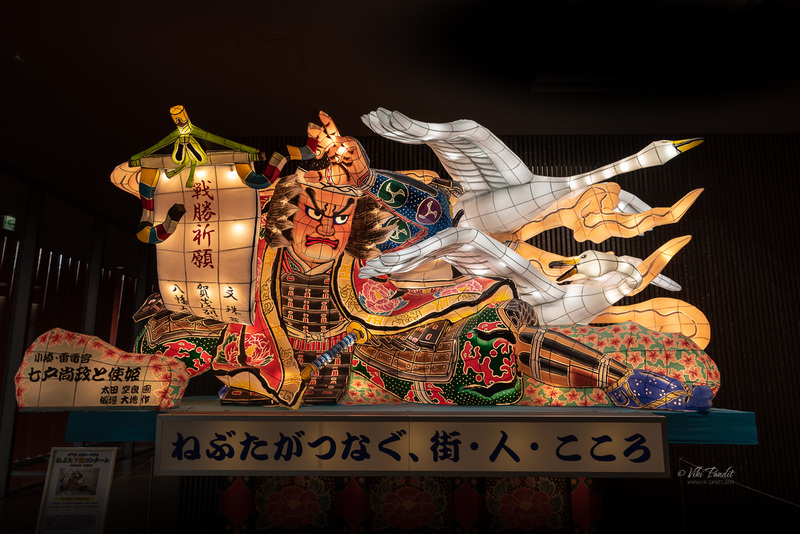 The creation of the building dedicated to Nebuta allows people like me to visit Aomori at other times of year and yet experience the skillful craft of the artists that are the backbone of such an immersive festival. This nebuta is based on Water Margin. 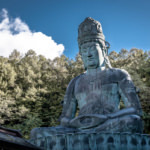 It depicts the tale of two villages that were tormented by ghosts until a monk established a pagoda to drive them off. Thanks for reading. 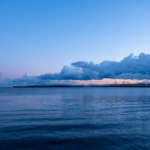 Please leave me a comment if you liked the post or follow my story as I continue to explore the lovely Aomori waterfront. The Nebuta Warasse is about a five minute walk north of JR Aomori Station.